Everyone or anyone who knows to cook, knows her. Through her recipe books, all cooks I know have at some point in their life, perused her recipes. For many, like me, I started to enjoy cooking because of her recipes – they were simple to make and turned out delicious. Tarla Dalal was the foundation to my journey into delights of cooking. I’ve now been a fervent cook for many many years, but every now and again I need to make a Tarla Dalal recipe. Be it a dessert, a stuffed paratha or the humble Khaman Dhokla. Her recipes are like a comfort meal for me, as I know the end result of the cooking will be delectable. I love you Tarla Dalal. And THANK YOU. I am quite a Tarla Dalal fan. I started cooking with trying out many of her recipes. Reason being that her books were vegetarian, easy recipes and best of all – ingredients were all at home! She used day-to-day ingredients. 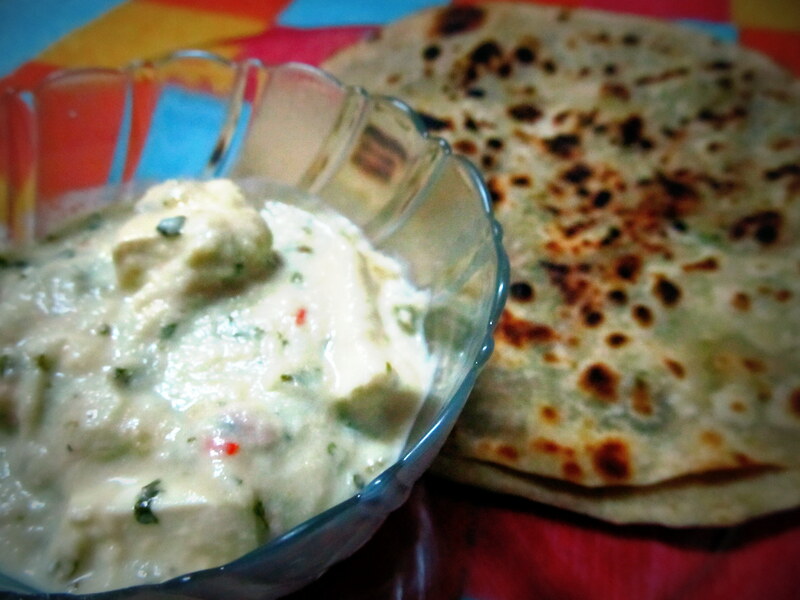 I’ve been making her Paneer in white gravy for years. However, I make this occasionally. Though the process is very easy, I pair this with her Mixed Vegetable Parathas and the parathas require some work. 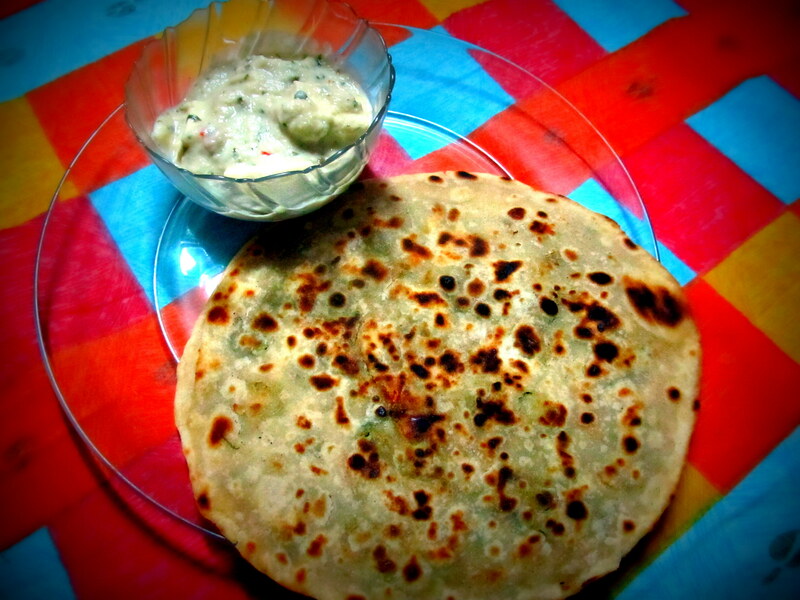 (see Mixed Vegetable Paratha post). After eating this combination, you can’t enjoy it any other way. I love making this as my hubby relishes it. He is a very happy man during the meal. The plate is licked clean : ) He is mainly a non-vegetarian and this meal is one of the few veg dishes he is very, very appreciative of.